If you are considering taking a CELTA or Trinity course to teach English, the Cactus TEFL Guide is a handy guide that tells you everything you need to know about these courses and the world of TEFL. Our guide, written by experts in the industry, covers useful topics such as TEFL as a career, the different types of TEFL courses and TEFL course survival tips. 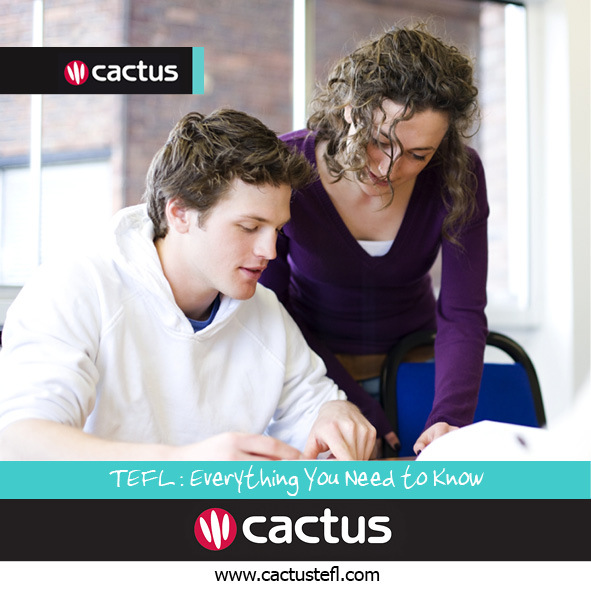 The Cactus TEFL Guide is an invaluable resource from the TEFL experts. Check out our free guide below, and contact us if you need any further information or TEFL advice!